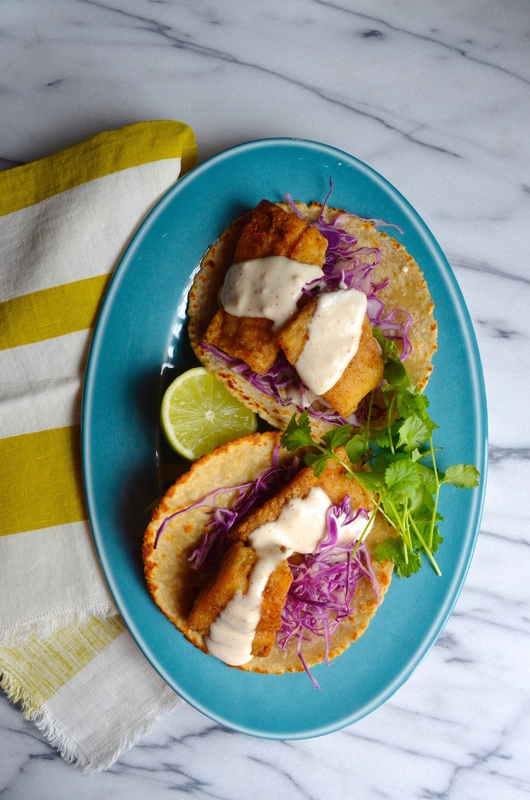 The first time I tried fish tacos was on my honeymoon in Vieques, Puerto Rico. Vieques is a small, mostly virgin and unsettled island located about a 2-hour ferry ride (or 15-minute flight) away from the main island. We spent two weeks of our honeymoon there, eating picnics on the stunning empty beaches and enjoying dinner at a few of the small casual restaurants located in the tiny main part of town. The menus were simple, but the food was always wonderful, and my favorite thing were the fish tacos. 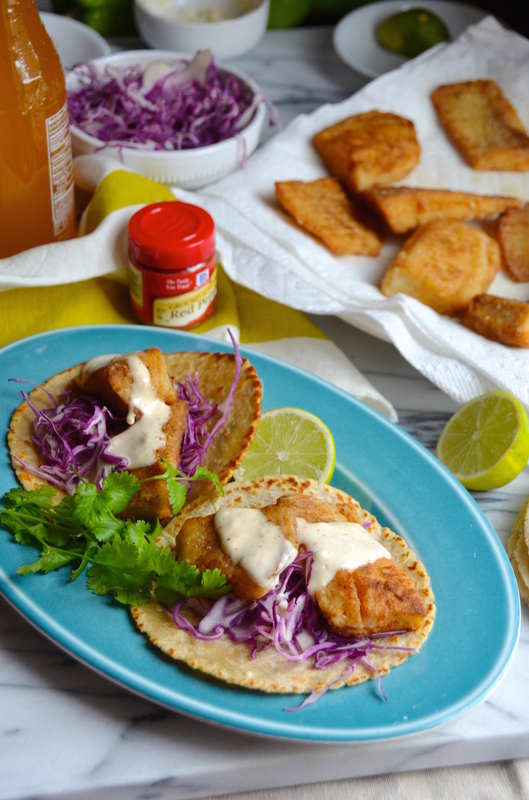 Fried pieces of local fish served with a cumin-spiked mayonnaise, diced cabbage and a big shower of lime. Just a few ingredients, but it was the spices and quality of fish that made it all so incredibly good. After the fourth or fifth time ordering them, my husband asked if perhaps wanted to try something else. Because that’s what happens when you discover something that’s just so good, there is no need to fuss or change it up in any way. This was about five and a half years ago, and I’ve since recreated those simple fish tacos at home a number of times. 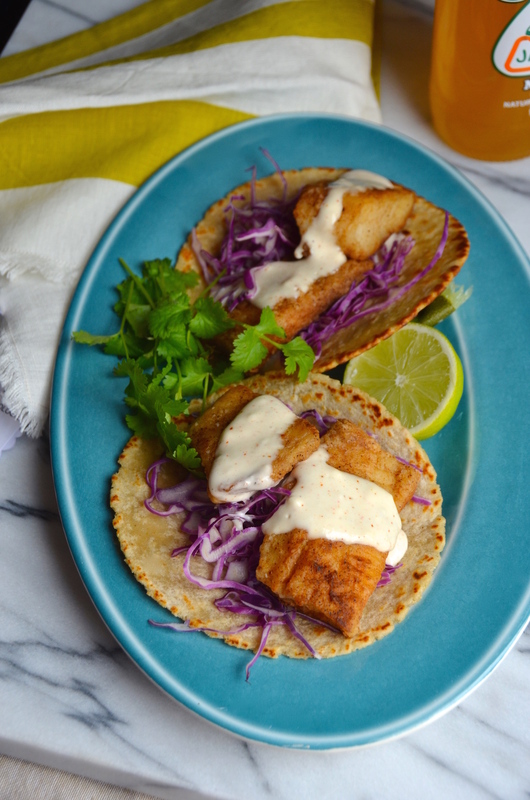 When McCormick (a brand partner I’ve been working with this summer) asked me to share one of my favorite fish taco recipes with you, I knew this was the one. Just like with those original ones, I keep it simple, letting the great flavors speak for themselves, enhanced just a bit with the addition of a few simple spices, which add a lot of flavor without much fuss. The one change I have made is that I don’t deep-fry the fish for my tacos. I pan-fry them instead because it’s quicker, easier, and produces less of a mess. I also make sure to season the flour mixture well, using a mix of ground cumin, paprika, McCormick Smoked Salt (which adds amazing smoky flavor! ), and cayenne. 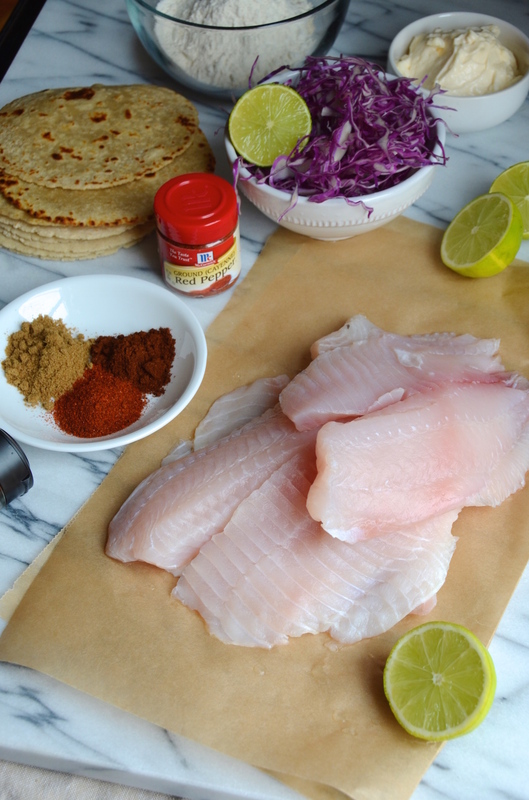 It adds a lot of flavor to the fish, without having to load the taco up with a bunch of extra ingredients. I honestly think the star of the dish is the creamy mayo sauce, made with mayonnaise, fresh lime juice, and spices. It comes together in seconds, and is the perfect accompaniment to the fish. If you’re wondering what fish to use for this recipe, the answer is really just whatever you’d like! I recommend something firm and white, like halibut, mahi mahi, cod, or hake. Go to your market and ask for something fresh. This recipe is so good and so flexible. This post is sponsored by McCormick. For more Latin-inspired recipes like this, please visit McCormick.com/Espanol. Thank you for supporting companies like McCormick who make it possible for me to keep creating great content and recipes for you. Prepare the mayo by combining mayonnaise, lime juice and cumin, and whisking together. Set aside. Prepare the slaw by combining the cabbage, lime juice, and salt, and tossing well. Set aside. 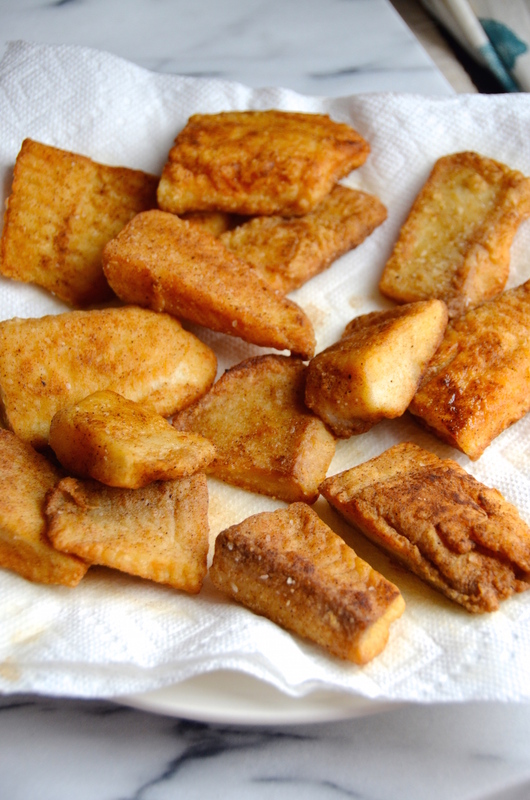 Prepare the fish: Combine the flour, paprika, cumin, cayenne, salt, and pepper and whisk well. Place in a shallow bowl. Coat the bottom of a large skillet with oil for frying and heat over medium-high heat. Cut the fish into 2-3 inch pieces and dredge in the flour mixture. Fry the coated fish in batches in the hot oil, take care not to crowd the pan. Place on a paper-towel lined plate to drain. Assemble tacos: Warm tortillas on both sides in a frying pan or over flame. Top one tortilla with mayo, then slaw. Add one or two pieces of fish. Serve with additional limes on the side.